Is your anxiety disorder not responding as hoped for to treatment? Many people are turning to herbal and nutritional supplements. 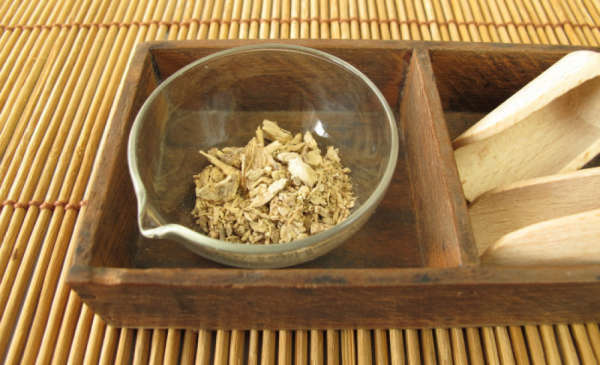 Learn about kava and many you probably have never heard of - like ashwagandha or bacopa. Many people with an anxiety disorder use nutraceuticals to supplement their therapy and mainline pharmaceutical treatment. Many of these treatments are supported by evidence and research, others are not. The author discusses a long list of herbal medicines and nutritional supplements and what both patients and clinicians need to consider. 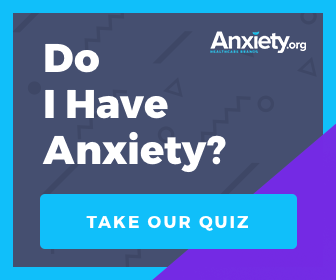 Anxiety disorders cause significant psychological tension and distress, and are accompanied by a range of physical symptoms that also cause much discomfort. These disorders include a range of diagnoses i.e. generalized anxiety disorder (GAD), social phobia, obsessive compulsive disorder (OCD), panic disorder, and post-traumatic stress disorder (PTSD). Pharmaceutical medicines and psychological therapies are used as first-line treatments, however a good percentage of patients continue to suffer significant symptoms despite this, underlining the need for other options. Anxiety disorders are also often under-treated, motivating patients to seek different treatment approaches such as herbal and nutritional supplements (nutraceuticals). In terms of evidence for herbal medicines in reducing anxiety, there is clinical trial support for over 20 individual plants. In summary, multiple trials exist for plant medicines such as kava and galphimia in reducing generalized anxiety. Isolated positive studies also exist for the chronic use of passionflower, gotu kola, chamomile, skullcap, roseroot, ginkgo, ashwagandha, echinacea, Iranian borage, lemon balm, and milk thistle. Isolated studies testing acute doses of anxiety-reducing plants, revealed positive support for passionflower, lemon balm, bitter orange, gotu kola, and sage. Bacopa has been shown to have anxiety-reducing effects for people with cognitive decline. For specific clinical anxiety disorders, aside from strong evidence for kava in GAD, there is only tentative evidence for ginkgo, chamomile, roseroot, galphimia, gotu kola, and ashwagandha for the disorder; milk thistle, Iranian borage in OCD; while SJW appears to not be effective for OCD or social phobia. As indicated above, the most researched herbal medicine in the treatment of anxiety is kava; a perennial plant native to various regions of the South Pacific. The roots of the kava plant are traditionally prepared as a water-based beverage for its medicinal properties and psychotropic effects. Multiple studies and reviews have found kava to be effective in reducing anxiety in people with generalized anxiety. Kava may also assist in improving sleep and mood in those with anxiety, and has a potential use in assisting people withdrawing from benzodiazepines. Despite evidence of efficacy, support for the use of kava has been blunted by ongoing safety concerns following numerous reports of liver toxicity. While this is extremely rare, there are various factors such as the manufacturing quality, plant part used, the method of extraction, and the dose are potential factors that affect the safety of kava. People using kava should be mindful of interactions with alcohol and pharmaceutical medications, and only use the plant if they have a healthy liver. Limited evidence suggests that bacopa and ginkgo, both used for their cognitive enhancing effects, may have anxiolytic properties in humans. In one study, where cognition was the primary outcome, bacopa extract daily for three months was found to reduce anxiety relative to placebo in healthy volunteers. An extract of ginkgo on anxiety patients with GAD or adjustment disorder with anxious mood found that after several weeks of supplementation ginkgo significantly reduced anxiety compared to placebo in a dose-dependent fashion. Commonly considered an antidepressant with pronounced benefits for treating depression, the anxiety-reducing action of St John's wort was investigated a study of people with mild to moderate depression. Supplementation of St John's wort was compared to an older antidepressant imipramine. Results showed that the herbal medicine significantly improved physical symptoms of the mood disorder. Another study reported that St John's wort significantly improved participants with somatoform disorders. While effective for depression and somatoform disorders, studies exploring the use of St John's wort in specific anxiety disorders have not produced positive results. For example, two robust clinical trials have shown no effect of the herbal medicine in reducing the symptoms of OCD or social phobia. Due to this, St John's wort cannot currently be recommended as an anxiolytic for use in any anxiety disorder. Growing evidence exists for passionflower, which has traditionally been used in the Americas as a calming agent. Studies using both acute doses and more long-term administration of passionflower have shown that the plant reduces anxiety, and is equivalent to certain valium-type medications. Further, it has been shown to reduce anxiety pre-surgery, without affecting anaesthesia. Chamomile is a popular over-the-counter relaxant used in tea-form. Interestingly, chamomile extract prescribed in tablet form has been found to reduce anxiety beyond a placebo (dummy pills) in people with GAD. Another aromatic plant, lemon balm, has also been shown to have anxiety-reducing qualities and has increased self-rated calmness acutely in healthy participants. Aromatherapy (the practice of prescribing isolated volatile oils from plants via inhalation, massage or internal use), is one of the most widely used natural medicines in the treatment of anxiety. A recent review concluded that aromatherapy was generally safe and effective in reducing anxiety symptoms. The review reported that those with higher levels of anxiety appeared to respond better to aromatherapy than those with mild anxiety. However, the review noted that many of the studies were of questionable quality and study groups were very different, comprising participants with dementia, cancer, and also healthy volunteers. At present, there is little evidence to support the anxiety-reducing effects of nutrient supplementation for treatment of most anxiety disorders. One large clinical trial reported that supplementation with magnesium, when combined in an herbal formula, decreased anxiety in patients with mild to moderate generalized anxiety over three months relative to a placebo. In relatively healthy samples, multi-nutrient therapy has been shown to have no effect on temporary anxiety over 12 months. Another study showed that one month of multi-nutrient supplementation reduced anxiety relative to placebo across healthy males and women with premenstrual symptoms, while other studies have reported no beneficial effect of multi-nutrient therapy on anxiety in participants. One double-blind randomized controlled trial (RCT) reported that a week of amino acid treatment (L-lysine and L-arginine per day) decreased stress-related anxiety in healthy people. Despite a lack of evidence for nutrient supplementation in other anxiety disorders, evidence does suggest that inositol may have a potential role in reducing panic. In patients with diagnosed panic disorder (with or without agoraphobia), inositol was shown to reduce the frequency and severity of panic attacks and the severity of agoraphobia. A later small trial involving participants reported that inositol was more effective than an antidepressant in reducing weekly panic attacks. In patients with OCD, inositol also reduced OCD symptoms, however other studies have revealed equivocal effects to placebo. While some nutraceutical companies provide research-based standardized products manufactured to a pharmaceutical standard, such confidence cannot be extended to many products. Because of this, the public (and clinicians) need to be mindful that quality and safety are paramount. Another important issue is that although high-quality nutraceutical studies exist, poorly designed studies still persist. These potentially show positive results and provide companies with good marketing fodder, but limit conclusions about the true efficacy of the intervention tested. Therefore, a challenge exists in educating the public between current evidence-based products and slick marketing campaigns. In conclusion, as detailed above, there is some solid evidence for a range of nutraceuticals to reduce anxiety. It is strongly advised that consumers seek the advice of relevant health professionals to assist in determining which supplements are right for them, to avoid negative effects or interactions with medications, and to better assess which products are of sufficient quality. Sarris, J., et al. (2013). "Plant-based medicines for anxiety disorders, part 2: a review of clinical studies with supporting preclinical evidence." CNS Drugs 27(4): 301-319. Sarris, J., et al. (2012). "Complementary medicine, exercise, meditation, diet, and lifestyle modification for anxiety disorders: a review of current evidence." Evid Based Complement Alternat Med 2012: 809653. Sarris, J. (2012). "Current challenges in appraising complementary medicine evidence." 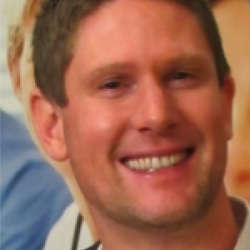 Med J Aust 196(5): 310-311. Are Herbal Remedies Safe And Effective For Anxiety?